Jayson Werth and his beard combined to go 2-for-3 with an RBI single that tied the game in the sixth inning, helping the Potomac Nationals down the Salem Red Sox 7-3 on Thursday night. After Werth’s third at-bat, Francisco Soriano replaced him on the bases, and following a sacrifice bunt from Michael Taylor, Soriano scored the go-ahead run on Jason Martinson’s double that vaulted Potomac ahead for good. 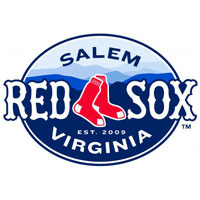 Up 4-3 after six, the Nationals added three insurance tallies against the newest member of the Salem Sox in the seventh, spoiling Madison Younginer’s Carolina League debut. Garin Cecchini and Keury De La Cruz each went 2-for-4 for the Sox, but the other seven hitters mustered just three hits, and the Red Sox went hitless over the final three innings against the Potomac bullpen. Matt Grace emerged as the victor in relief, dealing two and a third scoreless innings to improve to 3-0. After a rocky start, Mike Augliera settled down and dazzled on the mound for the Red Sox. The Nats scored once in the first on Taylor’s RBI ground-out, and Cole Leonida hammered a solo homer in the second, but Augliera set down the side in order in the third, fourth, and fifth innings, retiring 10 straight Nationals before Billy Burns led off the sixth with a triple. Carson Blair put the Red Sox on the board with a solo homer off Nationals starter Blake Schwartz, tying the score at one in the second. Leonida’s homer quickly evened the tab at one, but Salem surged in front with a pair in the top of the sixth. After Cecchini’s leadoff single, De La Cruz ripped a double into the right field corner to tie the game at two. Later in the inning, Dave Renfroe smacked an RBI double to put the Sox ahead 3-2. But the lead was short-lived, with Werth’s presence one of the main deciding factors in the pivotal bottom of the sixth. After a 2-5 road trip, the Red Sox return home to face Myrtle Beach on Friday evening at LewisGale Field. The Pelicans fell again on Thursday and have now lost their last seven games heading into the three-game weekend set in the Roanoke Valley. Salem ace Henry Owens takes the hill in the opener, with Pelicans righthander Nick Martinez making the start for the visitors. First pitch is slated for 7:05.